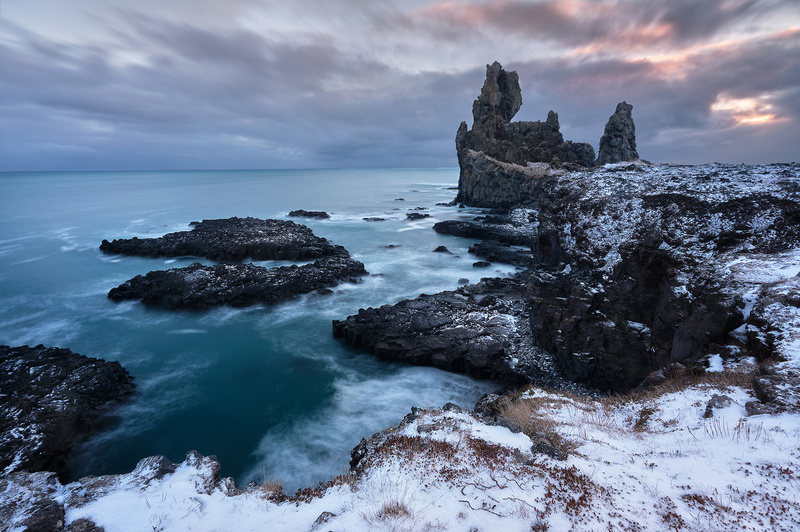 Fourth shot of my 2019 winter icelandic trip, here we are in Lóndrangar, one of the top spot of the snaefellsnes peninsula with other like Kirkjufell, Hellnar and the black church of Budir. I already was there 4 years ago and decided todo something a bit different this time, instead going on top of the cliffs like all the other photographers are doing, I decided to go down and hike a bit to come closer from the rock. I stopped, when I though the snowy foreground and the leading line to the rock was sufficient to catch the attention. I just had to wait for some colors in the sky to add some interest to the final image.